1.) SpanishDict is the world’s largest Spanish-English Dictionary online. You can use the site to learn Spanish, create flash cards, get translations, and several other tools. 2.) ESL Video and FLE Video is a website that allows you to take a video, and create a quiz related to the language that your students are studying. It takes videos from YouTube. 3.) Forvo is a pronunciation website for all the languages in the world. The goal is to help people properly pronounce words of a foreign language. Very helpful resource for students. 4.) WordSteps is a place for people to learn foreign words and keep their vocabularies in fit condition. Here you can not only enrich your vocabulary, but you can also track your progress and recall the words you could forget. 5.) Lingt Classroom helps people learn foreign languages in new and innovative ways. We believe that educational technology is most effective when it brings teachers and students together and we focus on building intuitive, extremely simple interfaces that are functional and elegant. 6.) italki.com is an online destination for learning foreign languages. italki connects people from around the world in a friendly community to learn from each other. italki helps people meet online to do free language exchanges. italki also helps students connect with teachers for paid online lessons. In addition, italki has many free language learning features, such as questions and answers, group discussions, and multimedia materials for self-study. 7.) Mango is a language learning program teaching practical conversation and cultural awareness for the world’s most popular languages. It’s the fun, easy and incredibly effective way for travelers of all kinds to learn to speak a foreign language. 8.) Lingro is an online dictionary. You can type in a website address and it will make every word clickable. It will then provide the definition/translation for each word. This would be great for having students explore a foreign language website. 9.) Nice Translator is a simple translator where you choose the language you want translated and then type it in the text box to get a simple translation. 10.) 100+ Language Learning Sites is a great list of resource websites that provide ways to learn a language. 11.) Word Reference is a free online Dictionary for various foreign languages. 12.) Lingus.TV is a television channel for the new generation devoted to teaching and disseminating languages, while taking advantage of all the social characteristics of the Internet. 13.) Language Guides provides three types of resources to assist in learning a foreign language: Pictorial Vocabulary Guides, Interactive Readings, and Grammar Guides. 14.) Bab.la is another free online translation tool that students can use for assistance with translation of a foreign language. There are several languages that are available. 15.) eType is your online multi-language dictionary with translations and word substitutes to virtually any language in the world. eType is your writing guide that auto-completes your words as you type them, enabling you to type faster and boost your level of confidence in your writing. eType prevents you from making spelling mistakes before they happen and helps you select the best word choice possible – even if you are not writing in your native language. 1.) SEN Teacher is a homepage for free resources for Special Education teachers. On the site you can find printables, links, downloads, and search tools for Special Education classes. You can also follow the updated content at the bottom of the page to know when new resources were added. 2.) 100 Tools for Special Needs Students and Teachers is a great list of resources broken down by subject matter and other resources. A great starting point. 3.) The Ultimate Guide to Teaching Special Needs: 100+ Resources and Links is another great list from the same website from above. Worth looking through. 4.) LD OnLine is the leading website on learning disabilities, learning disorders and differences. Parents and teachers of learning disabled children will find authoritative guidance on attention deficit disorder, ADD / ADHD, dyslexia, dysgraphia, dyscalculia, dysnomia, reading difficulties, speech and related disorders. 5.) National Association of Special Education Teachers is an association that you can join, but their website also provides resources and articles for teaching special education. 6.) Intervention Central is a site that provides both academic and behavioral resources for RTI. There are also several tools you can use to enhance your RTI implementation. 7.) National Center for Response to Intervention is another valuable site for RTI. You can find resources and tools as well as intervention tips. 8.) RTI Action Network is another site for learning about RTI. Resources are broken down by grade level. You can also find essential components of RTI as well. 9.) Internet Special Education Resources is a directory of professionals, organizations, and schools that serve the learning disabilities and special education communities. We help parents find local special education professionals for learning disabilities and attention deficit disorder assessment, therapy, advocacy, critical teen issues, and other special needs. 10.) MangoMon.com offers animated graphics, fiction and non-fiction reading materials and real-world math problems to ensure that each student is excited about the content and finds the learning materials interesting and fun to work with. 11.) Special Education Resources on the Internet (SERI) is a collection of Internet accessible information resources of interest to those involved in the fields related to Special Education. This collection exists in order to make on-line Special Education resources more easily and readily available in one location. This site will continually modify, update, and add additional informative links. 12.) 50 Best Blogs for Special Education Teachers is a MUST READ and a must addition to your resource list. 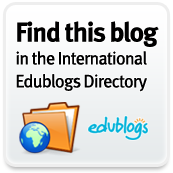 Find resources and read blogs from special education teachers just like you. 13.) Special Connections goal is connecting teachers to strategies that help students with special needs successfully access the general education curriculum. There are four areas to find resources: Instruction, Assessment, Behavior Plans, and Collaboration. 14.) The Teachers Guide provides resources and links for special education teachers divided by subject area, disability, and specialty. 15.) iPhone, iPod, and iPad Apps for Special Education. A great list and worth looking through for your own iDevice or possibly a student’s iDevice. 16.) Want to know more about Cerebral Palsy? I’m Tyler is a website that helps show what a kids can do and not what they can’t. Inspirational and educational. 1.) Agripedia is an Internet Accessible Interactive Multimedia Instructional Resource, developed by the University of Kentucky's College of Agriculture created with a USDA Higher Education Program Grant. Agripedia has been created to allow students to use resources across the country in an integrated, interactive learning resource on the Internet. As an "encyclopedia of agriculture", Agripedia presents facts, figures, demonstrations, examples, graphics, and more regarding the concepts, practices, and vocabulary of agriculture in a multimedia format using audio clips, graphics, text and animation. 2.) Local Harvest is a website to find farmers' markets, family farms, and other sources of sustainably grown food in your area, where you can buy produce, grass-fed meats, and many other goodies. 3.) The National Agriculture Library is a website designed to provide information about all things Agriculture. A great resource for students conducting research. 4.) The Agriculture in the Classroom National Resource Directory is an online searchable database that lists hundreds of educational resources designed to help educators locate high quality classroom materials and information to increase agricultural literacy among their Pre-K through 12th grade students. 5.) The Core Historical Literature of Agriculture (CHLA) is a core electronic collection of agricultural texts published between the early nineteenth century and the middle to late twentieth century. Full-text materials cover agricultural economics, agricultural engineering, animal science, crops and their protection, food science, forestry, human nutrition, rural sociology, and soil science. Scholars have selected the titles in this collection for their historical importance. 6.) The Crop Calendar provides information about sowing and planting seasons and agronomic practices of the crops grown by farmers in a particular agro-ecological zone. It is a tool developed to assist farmers, extension workers, civil society and the private sector to be able to access and make available quality seeds of specific crop varieties for a particular agro-ecological zone at the appropriate sowing/planting season. 7.) The PLANTS Database provides standardized information about the vascular plants, mosses, liverworts, hornworts, and lichens of the U.S. and its territories. 8.) 3rd World Farmer is a simulation where students and teachers can participate in experiencing what it is like to be a farmer in a 3rd World Country. 10.) Worldwatch Institute delivers the insights and ideas that empower decision makers to create an environmentally sustainable society that meets human needs. Worldwatch focuses on the 21st-century challenges of climate change, resource degradation, population growth, and poverty by developing and disseminating solid data and innovative strategies for achieving a sustainable society. 1.) Art History Resources on the Web is a place to find various Art from different countries and time periods. A valuable resource for students who might be interested in trying to recreate a famous piece of artwork, or make their own rendition. 2.) Smarthistory.org is a free, not-for-profit, multi-media web-book designed as a dynamic enhancement (or even substitute) for the traditional art history textbook. 3.) Art Education 2.0 is a Social Network for Art Teachers to share, discuss, and find other teachers who are using technology in the art classroom. 4.) Artsonia is the words largest online database of art created by students and shared by students. It is a chance to get your student’s work displayed for the world to see. 5.) The Letter Playground is a website for kids to draw letters of the alphabet in artistic ways and then share their creation with visitors to the site. 6.) Top 20 Art Blogs for Teachers is a great list of blogging Artist for you to follow and read and see what they are talking about as it relates to art and teaching art. 7.) Sculptris is free 3-Dimensional Sculpting software that you can download. It is pretty cool what you can do with this software. I recommend viewing the gallery. 8.) deviantART is a website for drawing online. So is bomomo, odosketch, Myoats, and Picassohead. Each one offers a different way to be creative. 9.) The Incredible Art Department contains tons of resources, links to lesson plans, and various other activities for the Art classroom. 10.) The Texture Library houses images of several different textures that students might be interested in finding and using for an Art project. 11.) DrawIsland is a free online Drawing Palette similar to Microsoft Paint. 12.) 50 Awesome and Inspiring Art Teacher Blogs worth examining to find inspiration and ideas for teaching Art in the 21st Century. 13.) ScribblarToo is another online drawing palette, but offers a different way of drawing lines and other various shapes. You can choose your Canvas, Brush Settings, Colors, and Images. 14.) The Art Project powered by Google provides visitors the ability to take a look inside art museums and view famous pieces of art from the web. You can also create your own collection of your favorite pieces of art. 15.) Drawspace is an international community of over 320,000 drawing enthusiasts, professional artists, art educators, and authors of art books. Check out our huge (and continuously growing) library of free, downloadable, high-quality lessons authored by world-renowned artists, art educators, and authors. 16.) The Endless Mural is an interactive, collaborative art website built in HTML5. They encourage you to experiment, play and draw, using all the tools and artwork provided. When you are happy with what you have created, submit your composition to the endless mural and become a part of this global collaboration. 17.) Artfinder - Experience the discovery of art. 1.) Free Excel Spreadsheet Documents for all types of spreadsheets. There are 101 that you can look through. 2.) My Brochure Maker is free web-based software for creating several different brochures. All the formats and software necessary is available on the web. 3.) The Educational Jargon Generator was designed to assist in the writing of reports, grant applications, and other documents related to public schools. 4.) LetterPop is a website to create eye-popping newsletters, actionable presentations, irresistible invitations, beautiful product features, sizzling event summaries, informative club updates, lovely picture collages, and a whole lot more. 5.) Printable Paper is a website that provides tons of paper templates that can be easily printed. 6.) Periodic Table of Visualization Methods is a great resource for creating visualizations and what the intended purpose of each one is. 7.) McDonalds Video Game is a great resource because behind every sandwich there is a complex process you must learn to manage: from the creation of pastures to the slaughter, from the restaurant management to the branding. You'll discover all the dirty secrets that made us one of the biggest companies of the world. 8.) Common Craft has put together some great videos discussing money as it relates to economics. The topics include Borrowing Money, Insurance, Investing Money, Saving for Retirement, Saving Money (Compound Interest), and Stock Markets. I highly recommend adding these to your lessons. 9.) We Seed is a free site for educators to teach students about the Stock Market. "We Seed is a virtual tool that uses actual companies, stock prices and data — but all trades are made with fake money. Students can buy and sell shares anytime — and see first-hand how the market is affecting the portfolio they build." 10.) The Story of Stuff is a great website that looks at how stuff is made and done. There are two great videos: Bottled Water shows the implications of all the bottled water in the world and how it is produced and consumed. Another great video is Cap and Trade which is perfect for Economic lessons. 11.) SimCity has grown so much since the first version, and because of that growth students can play the original version of SimCity online for free. Registration is required. I like this type of game because students have to make economic decisions. They have to determine Supply and Demand as well as have an understanding of Opportunity Cost. 12.) LavaMind is a site that provides links to Business Simulation Games. The three games of interest are Gazillionare, Zapitalism, and Profitania. Each game has a business economic goal in mind. Gazillionare is a cross between business strategy and Wall Street in wonderland. Zapitalism goal is to become a retail tycoon. Build your company from the ground up, open larger stores, and outwit your wiley competitors in a game of super sales and savvy shoppers. Profitania puts you in the role of a manufacturing mogul. Buy up commodities in real-time, expand your factory, and invent new products. In no time, you'll be on your way to becoming an industrial tycoon. 13.) SIFMA Foundation's Stock Market Game™ (SMG) gives students the chance to invest a hypothetical $100,000 in an on-line portfolio. They think they're playing a game. You know they're learning economic and financial concepts they'll use for the rest of their lives. 15.) Admongo is a site to learn about how advertising is all around you. Online. Outside. On television. Who makes ads? How do they work? What do they want you to do? Here, you will explore, discover, and learn. Can you make it to the top? 16.) Marketing Teacher has been providing marketing learners, teachers and professionals with FREE resources on the topic of marketing. So if you are studying for a marketing module or qualification, the contents of Marketing Teacher are specifically designed to support your learning. 17.) 80 Essential Blogs for the Modern Day Marketing Students is a website for students who might be interested in a Marketing career, or a great resource for marketing students to learn more about the subject matter. 18.) Virtual Team Challenge is a website designed to allow students to virtually participate in a business model challenge online. There is a registration process in the spring, so check back to see if it is a time of year that your students can participate and to learn more. 19.) Fed Stats is a website that provides various statistics for each state in the United States. You can search for statistics through various agencies as well. 1.) PE Links 4 U is a website providing resources and links to Physical Education. Resources are divided by content and grade level. 3.) PE Central is the premier site for health & physical education teachers, parents and students. Our goal is to provide the latest information about developmentally appropriate physical education programs for children. 4.) The PE Geek is a blog by a PE Teacher and he shares resources and experiences for using technology in the PE classroom. 5.) Teach PE provides worksheets, videos, links and various resources for several aspects of Physical Education. 6.) Physical Education Update shows you the secret tricks of the trade that help PE teachers improve sport technique; keep classes’ fun, jazz up lesson plans, get kids fit and much, much more! PE Update's condensed, illustrated article format, videos and super-fast article abstracts allow you to learn what you need. 10.) EDiPHY: EDucation in the PHYsical is a website aiming to help us all make the very most out of the opportunities we have to educate in the physical. Activity - records that involve exercise, whether physical or otherwise; e.g. various games, personal interactions, etc. Resource - records meant for reference and information; e.g. PE funding resources, bibliographies, etc. 11.) Physical Education and Technology Resources is a site for finding resources that help teachers integrate technology into their Physical Education curriculum. 12.) PE Universe is a Social Network for PE Teachers. There are videos, discussions, and an idea clipboard where you can jot down your ideas to get to them later. Remember, even PE teachers can use Educational Technology. 13.) PE Central is the premier site for health and physical education tea hers, parents, and students. The goal of the site is to provide the latest information about developmentally appropriate physical education programs for children. You can find lesson plans, assessments, discussion boards, activities, videos, and more. 14.) Free Online Health Games provides games and activities for learning about various aspects of Health. There are games on medical terminology, heart disease, health and fitness, etc. 15.) The Physical Educators Resource is an online directory that aims to provide useful web links and other helpful resources for professionals in the field of physical education. 1.) Stanton’s Sheet Music is a site that provides printable sheet music for Orchestra, Concert Band, Jazz, Marching Bang, Choral, Handbell, and General music. 2.) K-12 Resources for Music Educators is a valuable resource for music educators and students of all areas and educational levels. Regularly updated. For over fifteen years, the most visited and valued music education resource website available internationally. Carefully researched and commercial free. 3.) The Virtual Piano is a web based piano that you can play using the keyboard or mouse. 4.) The Music Resources Wiki is a great resource for finding other resources. I highly recommend seeing what you can find. 5.) KissTunes turns your computer keyboard into a virtual keyboard. You can record your tunes and then upload them to popular social media sites. 6.) 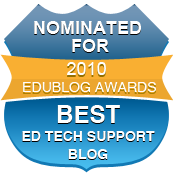 MusicEdTech is a blog for teachers interested in integrating technology into music education. Valuable and updated resources and experiences are shared here regularly. 7.) MusicPLN is an online social network and professional learning network for music educators to share and discuss how they are teaching music education. 8.) Staff Notes is free printable staff paper that allows customizable options for you and your students who are interested in writing their own music. 9.) Royalty Free Music is a resource list of websites that provide music that is free to download and publish or use. Great for presentations. 10.) Monkey Machine is a free online drum machine for creating drum loops and providing rhythmic accompaniment for musicians. 11.) Inudge is a website to create music using nothing but your mouse. You can select different instruments and notes and create music. 12.) 10 Online Resources Where You Can Learn to Read Music is a valuable resource that provides a link, image, and explanation of ten sites to learn how to read music. Great for your students struggling with this concept. 13.) I found this great blog post from the InTec InSights blog that contains several musical instrument interactives that would be great for classrooms with Interactive Whiteboards or Wireless Slates. 14.) The International Music Score Library Project is a music library to provide music scores free of charge to anyone with internet access, with several other projects in planning. IMSLP is also entirely collaborative, and all contributions are greatly welcome. 15.) Musictheory.net is a great website to find lessons, exercises, and tools for teaching music. Free Technology for Teachers has a great blog post about it, so I will point you there instead of reinventing the wheel. 16.) Songsterr is a website that provides visitors with the music sheets for popular music so that students can learn to play the popular songs out there. It also plays it on the music on the web as well so you can hear it at the same time. 17.) Weezic is a website where you can choose your instrument, pick and print your music, and then be accompanied by an entire orchestra. If I had any musical talent, this site would be great! 1.) The Food Timeline is a great resource to learn about the history of what we eat and what was eaten throughout history. 2.) Food Tube is a site to find video recipes on YouTube. A great resource to share with students or to use before teaching a cooking lesson. 3.) Visual Recipes is a site that provides images for the written aspect of their recipes. Another great resource for students to compare their own cooking with others. 4.) SPENT is a great interactive for Practical Living and Economics classrooms. Students will go through a process of seeing if they can make $1000 a month last while trying to take care of a kid, daily issues, bills, make a paycheck last, etc. The goal is to finish the interactive with positive money in the account after 30 days. Each selection that a student makes in the interactive, it provides a scenario for making that decision and information about homelessness and poverty. It is a great way for students to gain a "realistic" view of life on a low income. 5.) Sugar Stacks is a website that allows visitors to compare the amount of sugar that is in different products and various meals. A great way for students to see how much sugar is in all the food that they eat and the beverages that they drink.